Niagara’s annual Ontario Power Generation Winter Festival of Lights illuminates the city from November 21st to January 31st with millions of sparkling lights along a 5 km festival route. The festival also features breathtaking fireworks and beautiful holiday displays set-up throughout Niagara Falls, making it a must-do for winter visitors of all ages. Experience Niagara’s exciting craft beer scene at Niagara Brewing Company – the city’s newest craft beer experience. 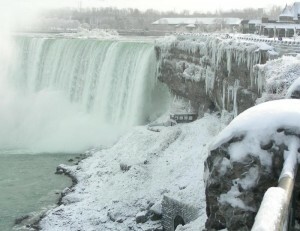 Located just steps away from Niagara Falls, Niagara Brewing Company offers visitors innovative and exclusive brews, rotating taps, daily live entertainment, and weekly drink specials that are sure to warm you up this winter.